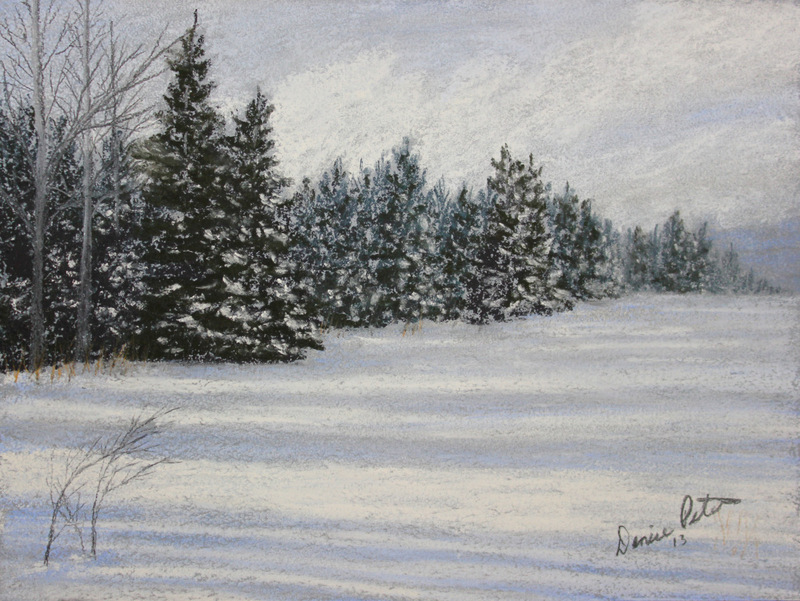 This is a pastel painting of a treeline casting shadows on the snow. It's the 5th painting of a 31 day challenge. I liked how the trees were casting shadows and making stripes in the snow. It's 6"x8".